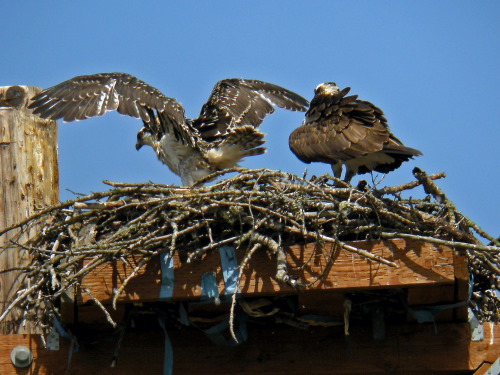 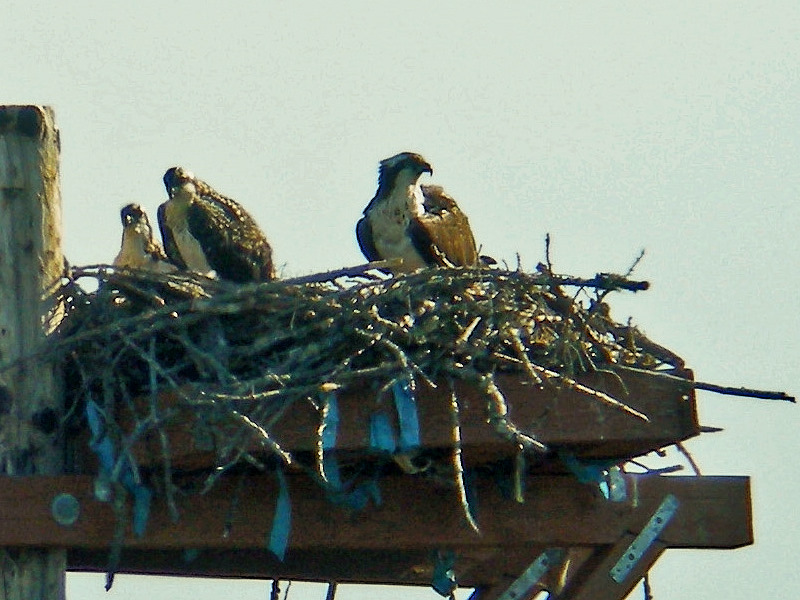 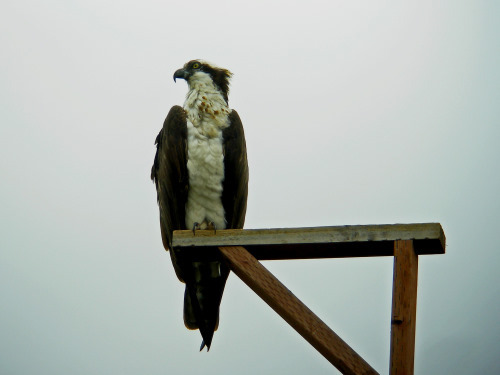 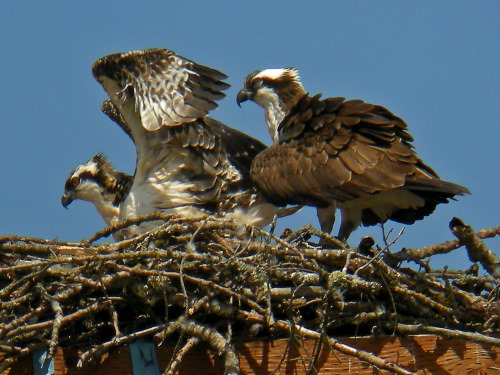 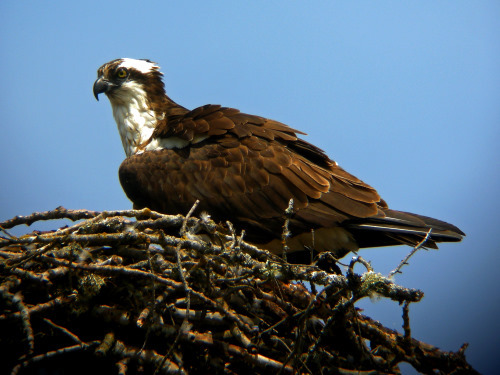 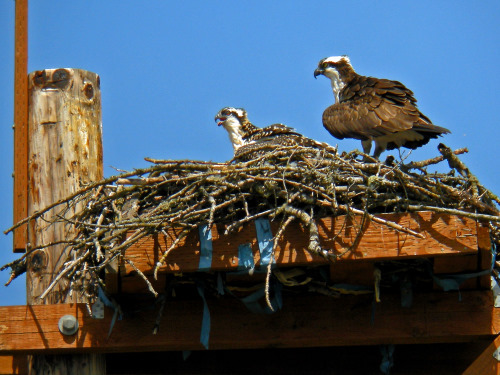 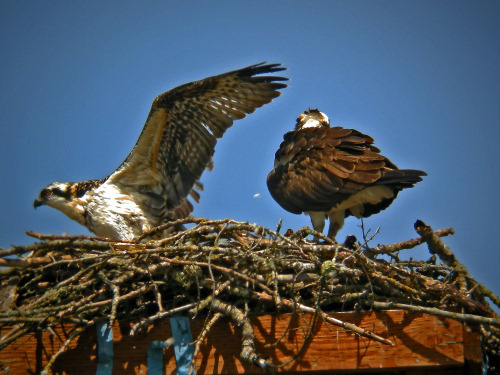 For many years, Osprey have nested on the towers near the Velodrome along SR-520. 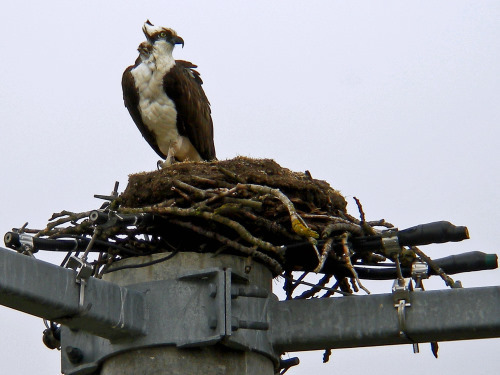 They started out on a cell tower, but about 3 years ago, that tower was decommissioned, and the county put up a new tower for the ospreys. 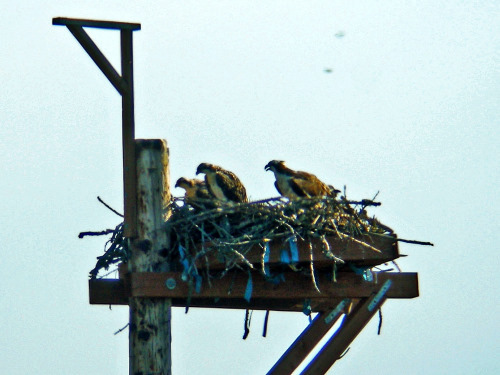 They've been nesting on this new wooden tower since then. 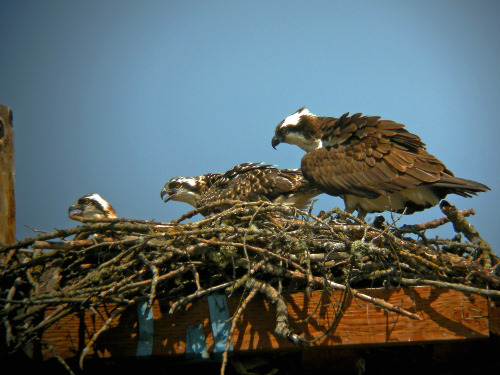 Here are some photos from Ollie Oliver of this year's nest, all taken in mid-July. 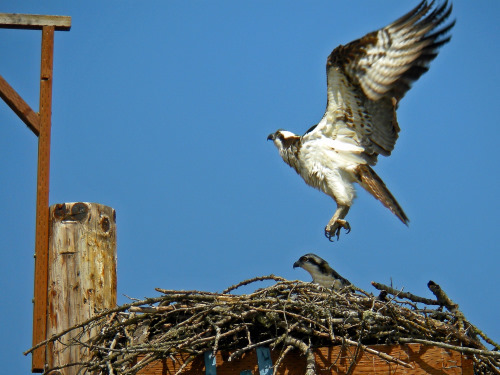 Notice the way the wingtips twist. 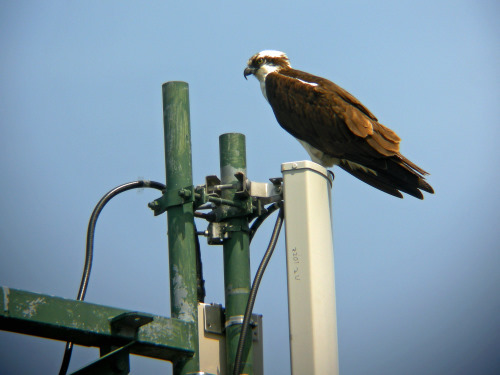 This helps Osprey take off from the water.